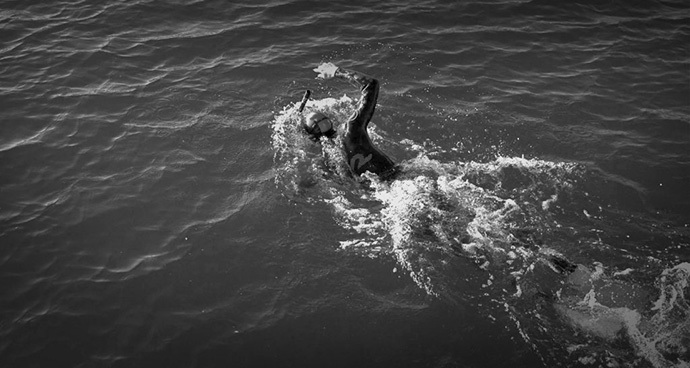 Why swim across the Pacific Ocean? So back in September I stepped aboard Discoverer (now affectionately referred to as our ?Disco?). Many grand plans were made that day. Get the boat in the water. Sail to San Diego. Sail to Tokyo. Do The Longest Swim. cheap jerseys Sail round Antarctica. Write a daily blog to keep track of it all. Well, one of those plans happened (Disco is happily floating underneath me as I write), three of them will happen, one is a great dream to have, and the blog writing definitively died out after day 4. It turns out the challenge of getting the boat and refit organised, doing it all, and planning the next year of sailing her left very little mental energy for a daily write up. Another grand plan laid to waste? However, today is a new day, and new days bring new grand plans. Let?s see if I can keep this one up! Today was the day we sailed Discoverer for the first time. Very big day. Months and months of planning, dreaming, sweating, bleeding, drilling, sanding, painting, servicing, and today was the crux of it all. I will gradually introduce you to the rest of our motley crew as time goes on, but we set out yesterday with a eclectic mix of people and experience, with two unquestionable common factors between them? 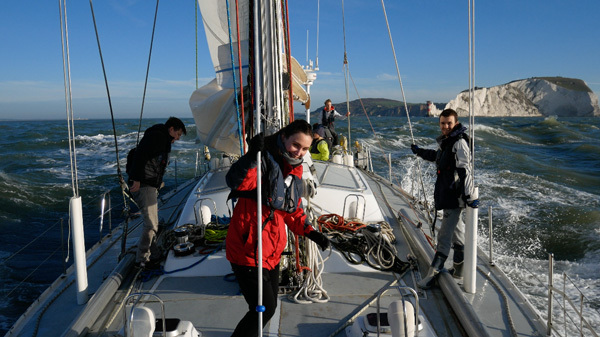 an abundance of enthusiasm, and absolutely zero sailing experience on a Challenge 67! Well I?m pleased to report we had a blast of a day. 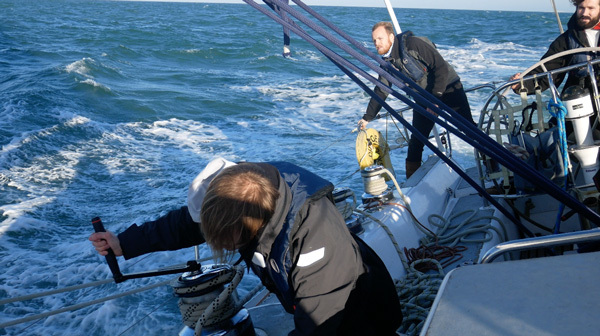 An initially light forecast delivered a fresh breeze, and allowed me to really put the boat and crew through their paces for the entire day. We slipped lines from Lymington for the first ever time, and as we made our way out of the Needles Channel the mainsail went wholesale nhl jersey up for the first time. It was great to see the sail up and in such good condition, however the process was also a good reminder of quite how labour intensive this boat will be to sail. 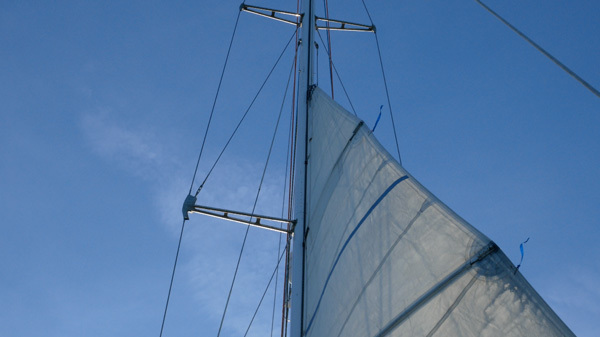 With no furlers or powered winches, putting a mainsail up a 60?+ track with a relatively small mast-mounted winch is as knackering as it sounds! The brand new staysail soon followed, and Disco immediately came into her own, storming her way to San Diego with or without us! After some playing around and talking things through, up went the yankee, and life on an angle began. I?ve never seen a bigger smile on Henry?s face as when he was sitting on the pulpit getting absolutely soaked as the boat plunged and cut through the swell. The rest of the day was spent generally getting a feel for the handle of the boat and what worked in terms of deck setup. 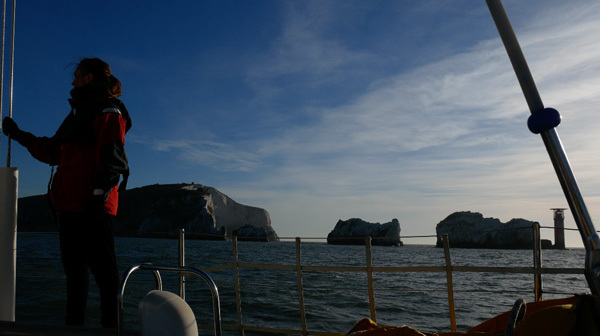 There was even a cheeky Man Overboard drill thrown in for good measure, and our Ruth Lee rescue dummy was collected in good time and in one piece. 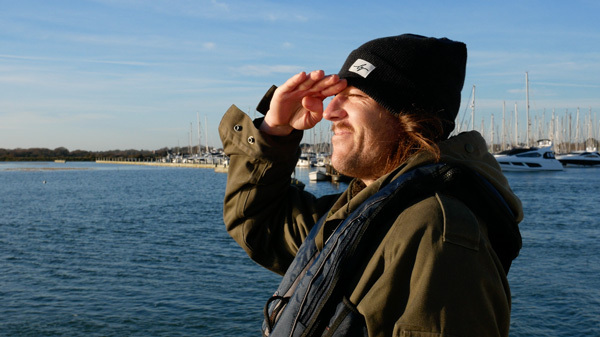 As it had been a while since many people had been on a boat there was a bit of greenness going around, but Alex truly proved his mettle by running the below decks without a moments pause, keeping a watchful eye on the bilges as we built our confidence in the boat. 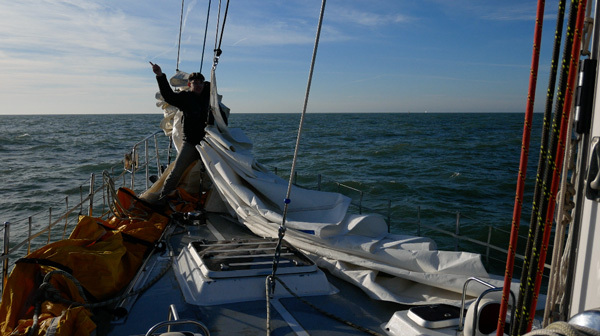 However, the fun couldn?t last forever, and after the sun had begun to set, we decided it would be necessary to return to Lymington for a few more final tweaks and adjustments before embarking on the big push to San Diego. A much more mellow run back in to the Solent let everyone start to wind down after an intense day of activity and emotions, and with the customary mainsail flake debate out of the way, we squeezed our way back into our parking space, through the rather small gap between a pontoon and a very expensive brand new yacht that definitely wasn?t there on the way out! The team put the boat to bed as quick as pros, and the first proper meal of the day was had in celebration. 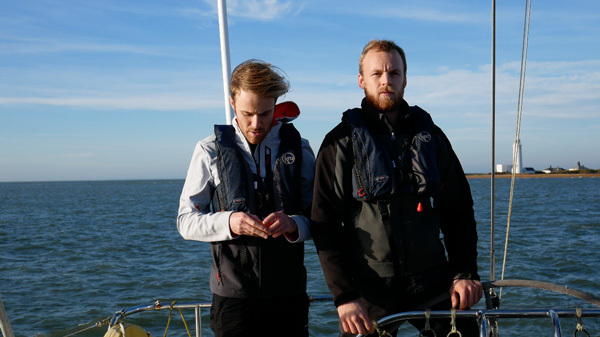 A brilliant first day out; I personally am feeling very good about how the boat feels, and the team set themselves a high bar with an extremely capable performance on an unfamiliar boat, having never sailed together or with me before. The abundance of enthusiasm remains, but everyone now has 12 hours of sailing experience on a Challenge 67! One thing is sure, we are all going to have a lot of fun sailing this boat. Oh, and it will be really good for the swim. Mustn’t forget about the swim! Love the blog pls keep it going .